Jim Rygiel is a three-time Academy Award-winning visual effects supervisor who has been a leader in visual effects for many years. Winning multiple Oscars, he has supervised a wide range of tentpole features, including “The Lord of the Rings” trilogy, “Godzilla,” “Spiderman (2011),” and “Night at the Museum”, among others. 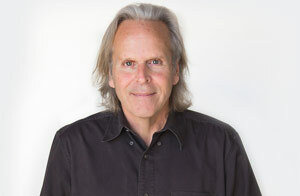 Prior to his tenure as an independent supervisor, he helped found Boss Films Digital, one of the original and iconic visual effects facilities in Los Angeles. Rygiel is a member of the Academy of Motion Picture Arts and Sciences, the Directors Guild of America, the Academy of Television Arts and Sciences, the British Academy of Film and Television Arts, and others.